I was watching the King of Random’s channel a few days ago and came across a really neat idea: making LEGO gummy Ccandy. He has some notes below the video showing this Instructable where he got the idea. The first thing you need though is a mold. 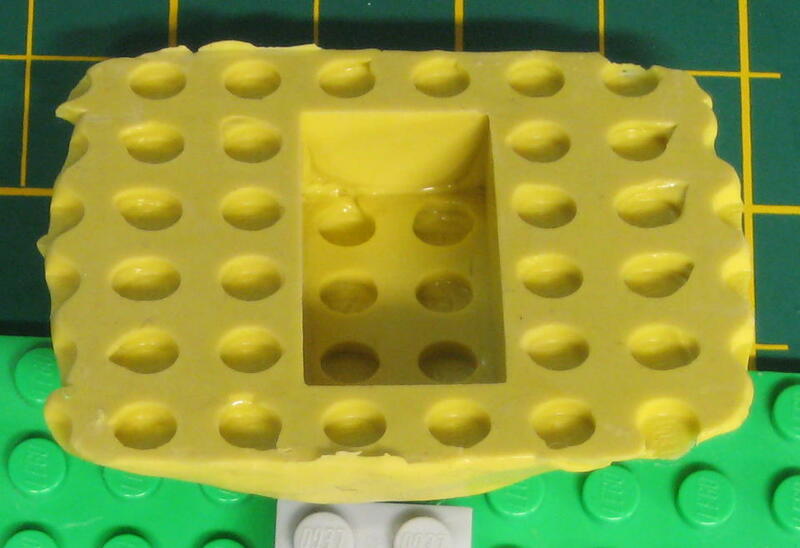 Sure LEGO has molds that you can buy. And I just went to the LEGO store Sunday, but I totally forgot to pick up some molds. Still, the problem with these molds is that you can’t make the bottoms of the bricks so they lock together, which I wanted. So I had to make my own mold. I didn’t want to wait for materials to ship from an online store, so I did a bit of reading and found Michaels had some different silicone molding putties. These putties are food safe and come in a two containers. 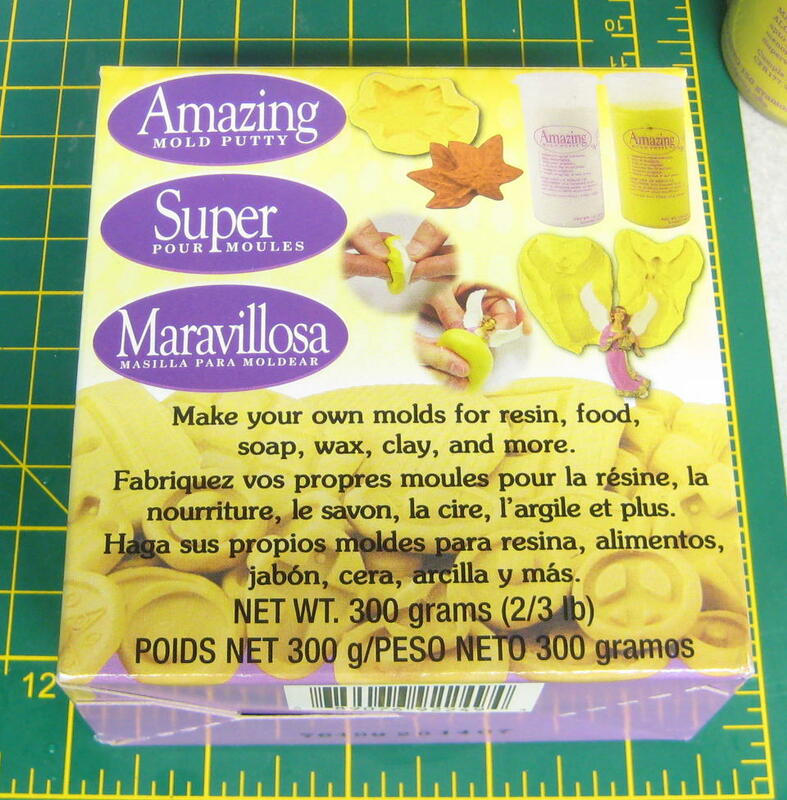 You mix equal parts from each container to activate the putty and you have a very short time to make the mold. Since I’ve never done this before I wanted to make a small test mold. I grabbed a 6×12 plate and some 2×4 bricks for my positive image. Then I measured out 1/2 tablespoon out of each container. 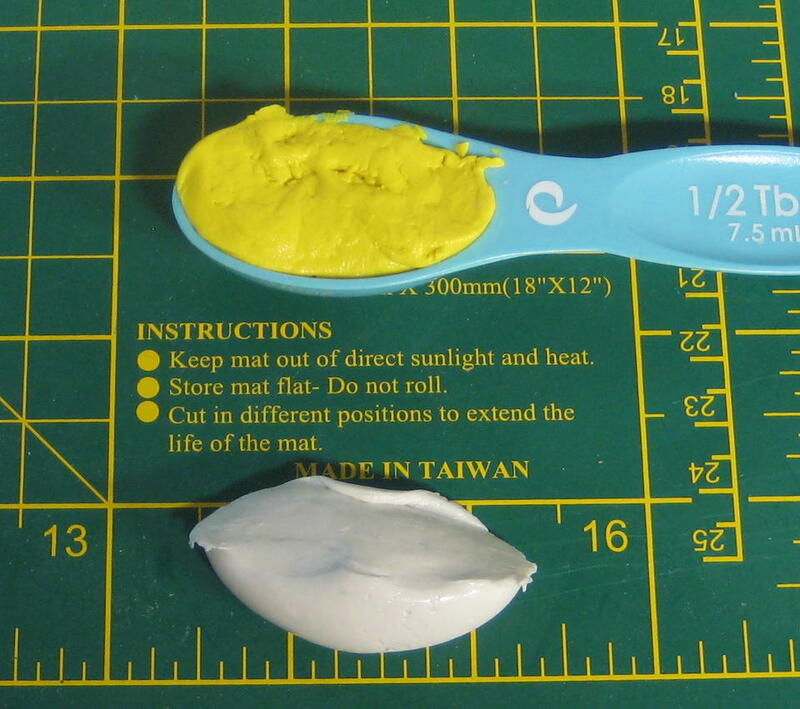 I washed my hands thoroughly and began to knead the putty together until it was a single consistent color. The instructions said that you should do this in less than a minute because you only have 3 minutes of open time. Once I got the putty kneaded, I began to push it down over the positive image. It was clear right away that I didnt have enough putty for the three bricks so I quickly removed the two edge bricks and formed the putty over the single brick. 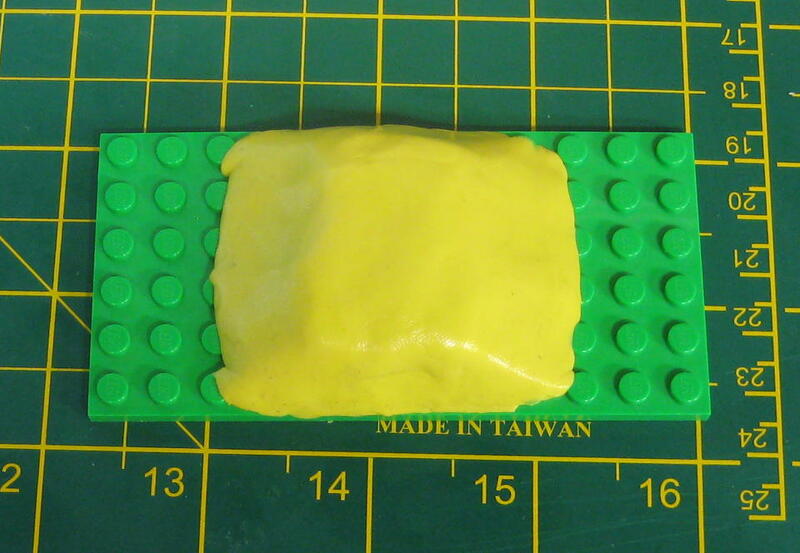 Even so the putty was a little thin on top so I had to push putty up from the sides to make the mold thick enough. After 20 minutes the mold was cured and I removed the LEGO. The brick shape was very crisp at the bottom and the long sides, but I could see that the short sides weren’t filled in properly. 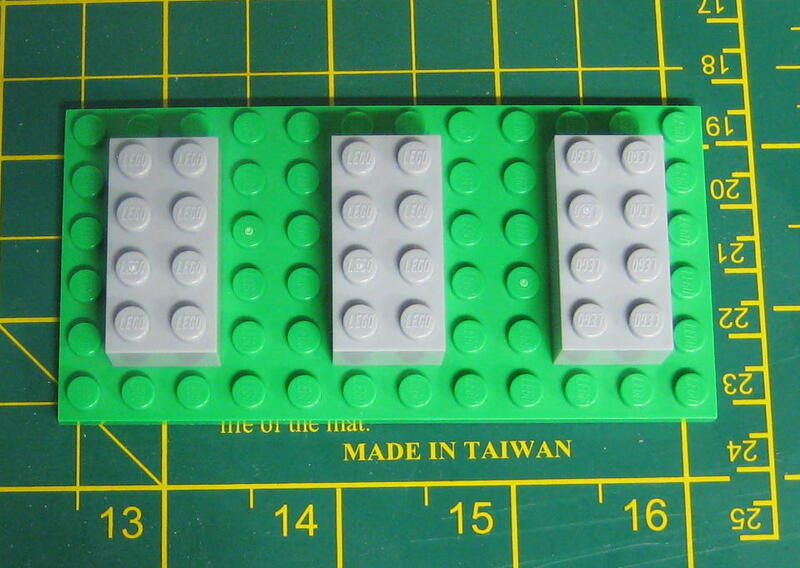 And because of all the shifting of the putty that I did, the studs were somewhat elongated. If I tried this again I wouldn’t shift the putty around, I’d just work it slowly over the brick in one motion. I tested the mold by making an ice cube. 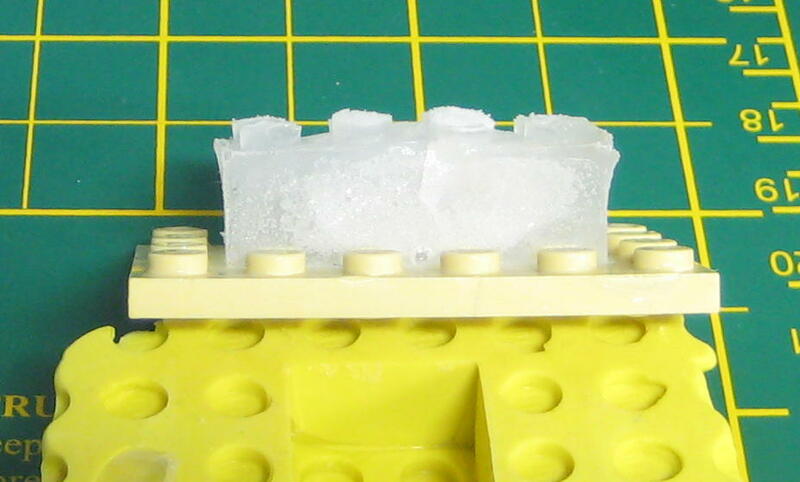 I used the plate to cover the mold to get the stud holes on the bottom, but since ice expands this just blew out the top of the brick. I think the mold putty might be better suited for more curvy shapes like a seashell, the putty was really hard to form around the right angles of the brick. I think I’m going to have to order some liquid silicone mold material online. * I’m going to admit the text took me 20 minutes to write. My dog was annoying me the whole time the timer was running.